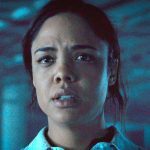 Radio Westworld is a podcast dedicated to the HBO sci-fi series, co-hosted by Roberto Suarez and John Whitford, presenting a weekly recap and review of each new episode. All episodes will be hosted here at radiowestworld.com, and will be available through iTunes and other podcasting platforms. As always we appreciate your feedback, please send your emails and audio clips to radiowestworld@gmail.com.